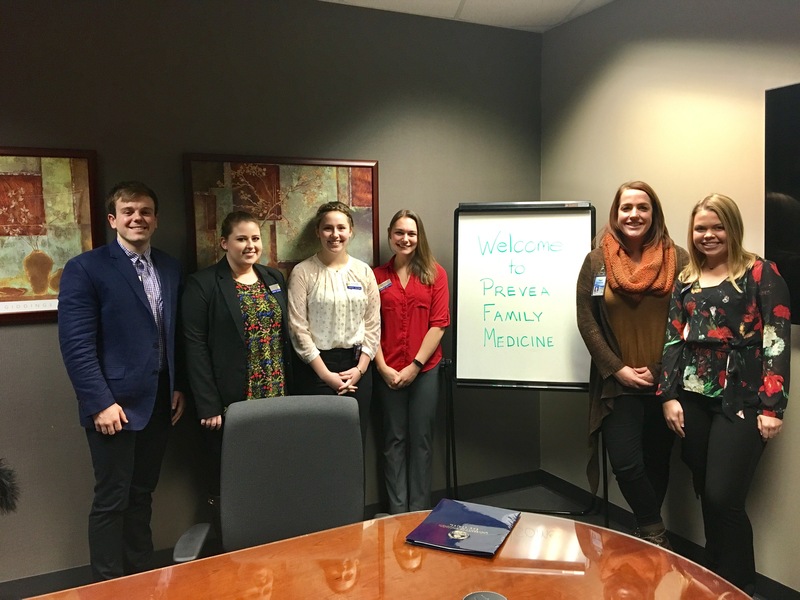 Five Senior 1 UW-Eau Claire nursing students recently presented results of a Eau Claire City-County Public Health Department adolescent survey to Family Medicine residents at Privea Health. The survey focused on how to make health care settings in Eau Claire County more adolescent-friendly. The students collaborated with Eau Claire City County Public Health Department public health nurse, Abby Hinz, BSN, RN and Blugold alum from the nursing program to produce, administer and compile the results. As part of clinical course in the 1st semester senior year, nursing student work on population-health projects while strengthening leadership skills. 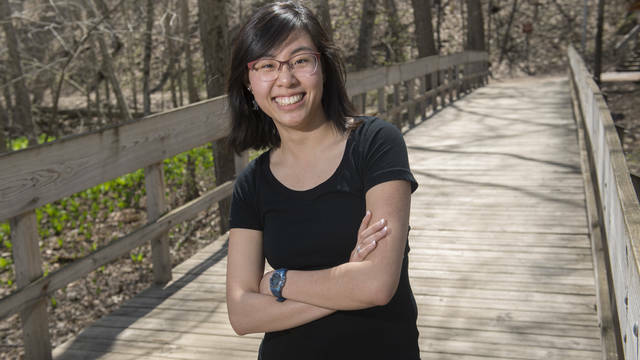 This project provided an opportunity for nursing students to teach family medicine residents what the results of the community survey showed to help make their practice more adolescent-friendly. This example of interprofessional education is an important demonstration of how multiple disciplines need to work together to provide patient holistic care and to enhance patience outcomes. Having nursing students present the results of the adolescent-health community survey is an excellent example of experiential learning, [AND] how nurses and doctors collaborate and learn from each other. This is also an excellent example of how community partners – namely UW-Eau Claire, Eau Claire City County Public Health Department and Prevea Health where the Family Medicine Residency takes place, work together to strengthen the health of the community. Associate Professor, Norah Airth-Kindree, DNP, RN led the student cohort, consisting of Alison Everhart, Gerald Gerritts, Miranda Hanson, Megan Schroeder and Jessica Twohoey. Mark Gideonson, MD from Prevea also participated in the project. The presentation was held at Prevea Health Family Medicine, 617 W Clairemont Avenue, Eau Claire, WI on Thursday December 7, 2017. 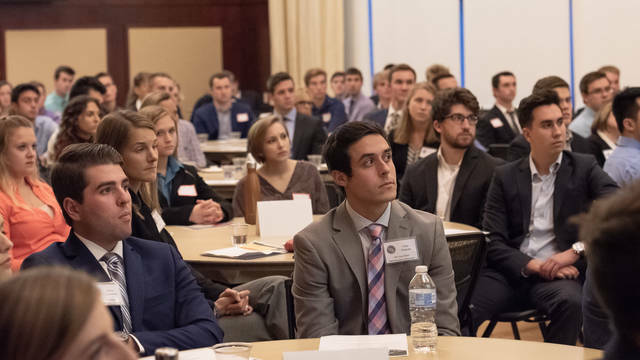 On Tuesday, November 16th, the Financial Management Association hosted their second annual Leaders in Business Forum. Over 100 UW-Eau Claire students gathered together to learn how to become a leader in business. 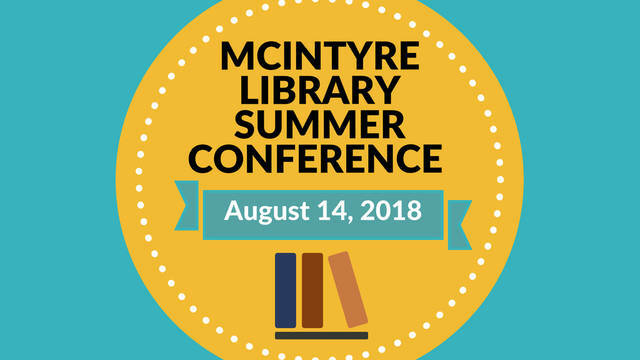 The annual summer conference will feature creative writing, hula hooping, an open house, and more! An international research project that helps people with autism be more successful in their workplace was the perfect way for Johannah Erffmeyer to use her tech and language skills to benefit people who often struggle to find meaningful employment.